To realize an LED lighting project, a broad competence and know how in different fields is required. For you it‘s good to know that at our network you will find profiled and reliable experts combining all relevant skills. In our network you will find Certified Partners specialized in optic, thermal and electronic solutions, both standard and customized. 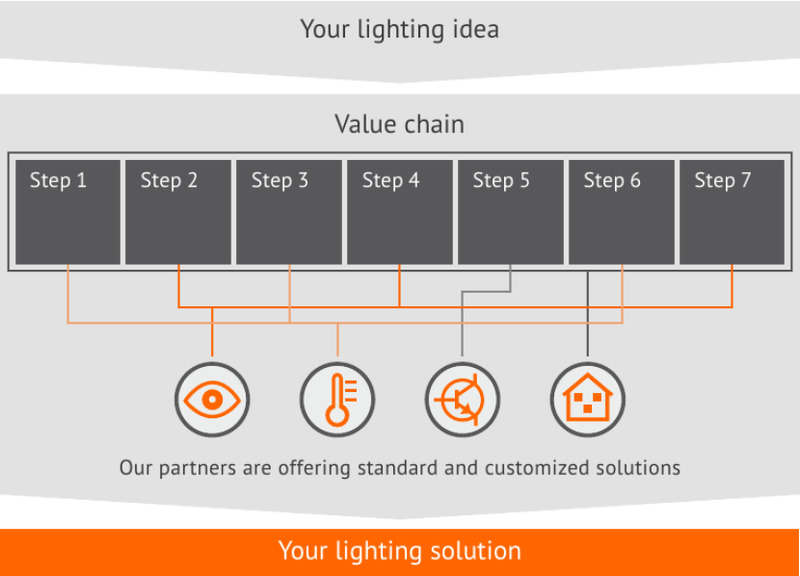 It doesn‘t matter what kind of lighting project you want to realize – street lighting, displays, in- or outdoor lighting – the LED Light for you partners support you along the entire value chain. Counting on our partners means also counting on quality. This is what our partners have proved for many years in numerous projects worldwide. That’s why we call them Certified Partners.